Beautiful updated one story in heart of Energy Corridor. 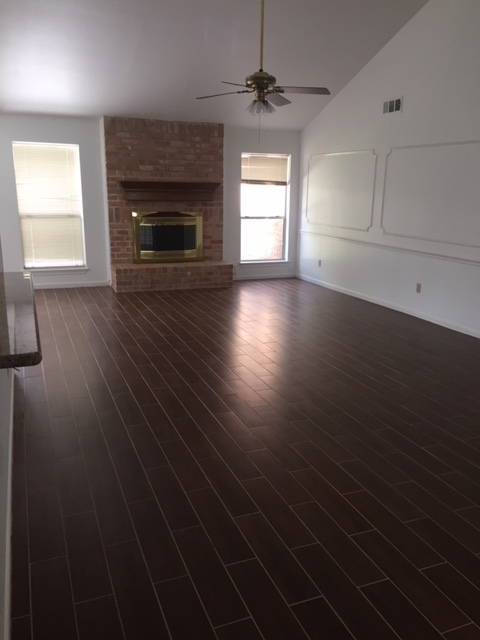 Huge living room with new wood tile flooring with custom built in bookshelves opens to kitchen with granite tops and tons on cabinets. Family room with picture sliding glass doors lead to peaceful backyard retreat. Remodeled bathrooms and master retreat with two large walk in closets. Walking distance to Barbara Bush Elementary and John Paul, Terry Hershey Hike and Bike Trails. If you are interested in leasing, buying or selling real estate in West Houston or the Energy Corridor, please contact Connie Vallone with First Market Realty at 713 249 4177 or visit www.houstonenergycorridorhomes.com or www.vallonehomes.com .